This poem is the the theme of love. It relates to love because it talks about how “its moments like these” and all the “wonderful things” about love. It really shows how you can love someone and still be yourself. Like it says, “I loved him” yet “found myself” and you will go through hard times in a relationships etc. My poem showed the theme of love, and how you don’t always choose who you love. 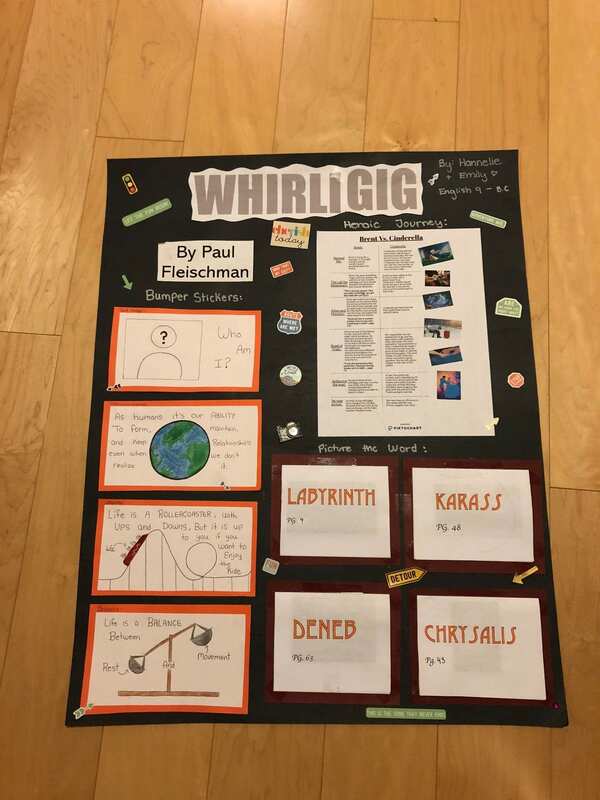 This is our visual representation of our whirligig project, with our bumper sticker analysis and our complete poster board- This is our bumper sticker analysis for self image, interconnectedness, journey and balance.